Philip Kapneck lived in Washington D.C. and graduated from Theodore Roosevelt High School. He attended George Washington University, was elected to the Maryland State Convention, and was appointed special advisor on Higher Education to the Governor’s office. He was appointed by Governor Marvin Mandel to open Maryland’s first overseas office in Brussels, Belgium as the State’s Trade Ambassador. He assisted the Federal Government in "Invest in the USA". 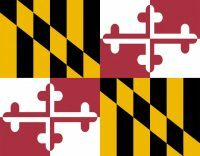 He was appointed by Secretary of Business and Economic Development to represent the State of Maryland with international companies in Asia and the South Pacific. He was appointed by former New Zealand Prime Minister Rowlings as Special Advisor/Maryland Trade Ambassador to assist companies in New Zealand and Australia doing business in the USA. He received Governor’s Citations for his service to the State from two Governors and chaired fund raising events for the American Diabetes Association and Children’s Hospital. "Philip Kapneck was appointed by Governor Marvin Mandel to open Maryland’s first overseas office in Brussels, Belgium as the State’s Trade Ambassador. He assisted the Federal Government in "Invest in the USA." Today, he holds the title of Maryland Trade Ambassador. "Ambassador Kapneck, for the past thirty years, has brought a multitude of jobs into Maryland and USA and when he is not overseas he works without remuneration to help the citizens of Maryland find jobs with companies he brings into the State." Golf News has a story about how Philip Kapneck helps the State.